as a probation violation landed the rapper back in police custody. Yesterday, Atlanta, Georgia rapper Gucci Mane was released from custody after being incarcerated since March 26. The Warner Bros. Records star and his lawyer were believed to have posted the $75,000 bond to allow the rapper freedom. Previous statements indicated that Gucci would be taken to DeKalb County, where his was on probation from a previous misdemeanor violation. It appears that Gucci Mane never reported to the court. 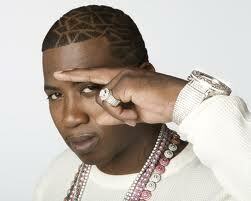 TMZ reports that within one day of his release, Gucci was apprehended today for a probation violation. Details are still emerging, but the Brick Squad 1017 leader is believed to be back in custody at this time. Gucci was presently pending trial on an aggravated assault charge, for battering a U.S. soldier with a bottle, which he was indicted for earlier in the week.